SCVHistory.com LW3322 | William S. Hart | Flagg Painting of Hart's Horse Comes Home After 90-Plus Years, 6-29-2018. Flanking Flagg's 1922 painting of Fritz, Michael Kirk, auction manager for Nate D. Sanders Auctions (left) and Leon Worden of the Friends of Hart Park and Museum mimic the pose struck by Flagg and Hart (sort of) when Flagg delivered his painting of the actor in 1924. More oil paintings by James Montgomery Flagg can be seen in Hart's former home, the William S. Hart Museum in Newhall — including additional artwork that was used to illustrate "Fritz's book." It hangs along the staircase. Downstairs in the dining room is a painting from 1924 which depicts Hart astride Fritz (above). Flagg spent two weeks with Hart that year (Flagg 1925:89). He painted Fritz in Newhall and completed the portrait at Hart's "city" house in (now West) Hollywood. Finally, upstairs in the main living room is the newest work, a portrait of Hart's sister, Mary Ellen, who lived with Hart in the Newhall mansion. It was painted sometime after her death in 1943 and before March 1945, when Hart sent Flagg a check for $500. In his memoirs, Flagg says he met Hart after making the 2-reel comedy, "Perfectly Fiendish Flanagan" (1918), a two-reel spoof on "the Hart formula of the Bad Man being reformed by the glance of the eyes of a Pure Woman" (Flagg 1946:161). Flagg was the screenwriter and acted in it. Hart found out about it, watched it and "nearly ruptured himself laughing" (ibid.) Both men were under contract at the time with Famous Players-Lasky, forerunner of Paramount. They became fast friends and remained so until Hart's death in 1946. 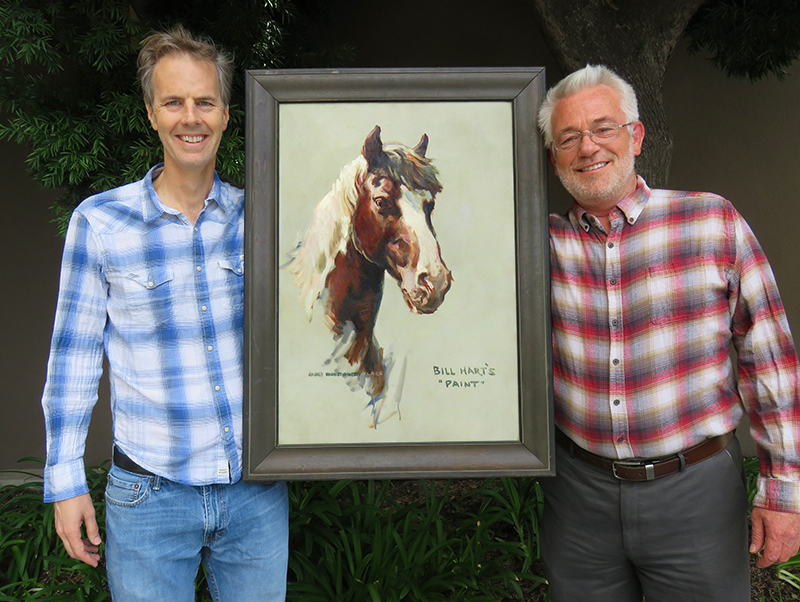 June 29, 2018 — James Montgomery Flagg's portrait of William S. Hart's favorite little paint horse, Fritz, has come home to Newhall following an absence of more than 90 years. Its existence was unknown locally before 2018. 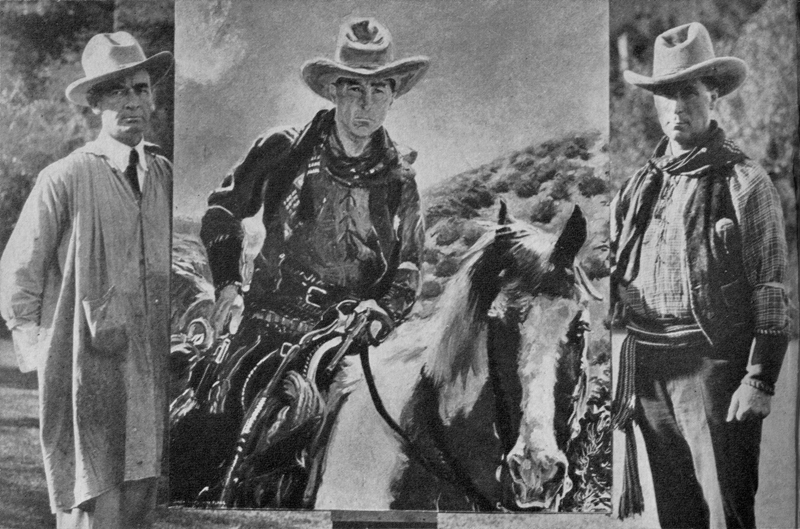 The original 21x30-inch oil-on-canvas painting (27x36 inches framed) had been in the possession of Hart's ex-wife, Winifred Westover, and their son, William S. Hart Jr. The undated portrait was completed during or before 1922, when it was used to illustrate the title page of one of Hart's books, "Told Under a White Oak Tree," copyrighted and published in that year. It is a children's book written in the voice of Fritz, wherein the talented horse takes credit for his master's many feats of derring-do. Flagg (1877-1960), a magazine illustrator (Saturday Evening Post, Collier's, Scribner's, etc. 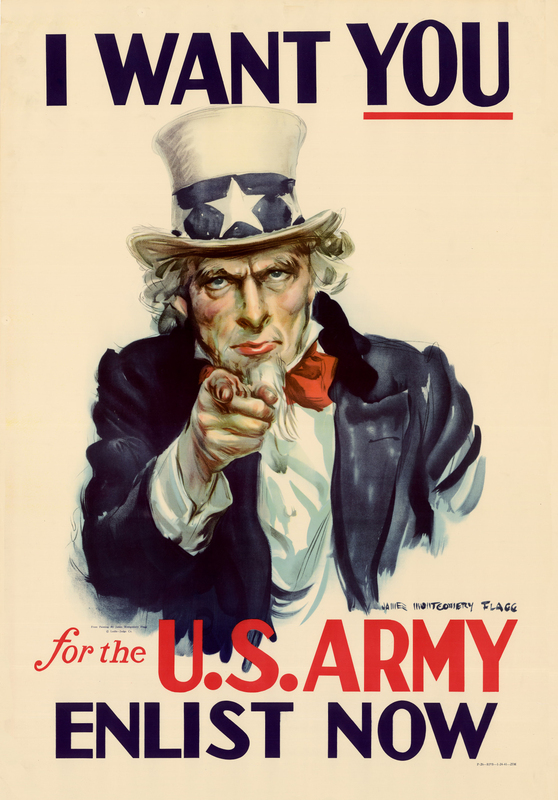 ), is best known for his World War I army recruitment poster showing Uncle Sam pointing his finger at the viewer with the words, "I WANT YOU." A prolific painter and caricaturist who was pulling down $75,000 a year in the late 1890s — as a 20-year-old artist! — Flagg created a painting a day for years and illustrated five of Hart's books, mostly Western novels, from the 1920s-1940s. Exactly how and when Westover and her son obtained the painting is unknown. One day after his 57th birthday in December 1921, Hart married the pretty, blonde, 22-year-old starlet at his home in (now West) Hollywood. Destined to fail, the union was over within months, and they were dividing up assets in divorce court before spring was out. In his will, drafted in 1944, Hart mentions a "property settle­ment agree­ment" that the couple executed May 12, 1922, two days after their marriage officially ended. (The divorce wasn't final until 1925.) But the only "property" contemplated in the May 1922 agreement was $203,000 in alimony and child support that Hart placed into trust, to wit: $103,000 for Westover and $100,000 for their unborn child. Westover did not receive the Flagg painting at this time. Come September 1922, exactly nine months after their wedding night, Westover gave "Two-Gun Bill" a son. It's plausible that Bill Jr. removed the paining from his father's Newhall mansion in 1946, during the brief period he served as executor of his father's estate. The county of Los Angeles, being the primary beneficiary, obtained relief from the court to replace the executor and preserve its assets. The resulting court battle between the county, on the one hand, and Westover and Bill Hart Jr., on the other, stretched out over the next decade. Following Bill Jr.'s death, the movie memorabilia he had kept from his parents' careers was sold in an estate sale or auction. None of the items came to the Santa Clarita Valley and were presumed to have scattered to the four winds. As it turns out, they didn't scatter far, and many didn't scatter at all. In May 2018, the Santa Clarita Valley Historical Society was contacted by Aimee Howe of Inland Northwest Estate Sales in Spokane and alerted to some leftover William S. Hart material that didn't sell in a May 19-20 estate sale in the rural community of Pateros, Wash., about 110 air miles east of Seattle. William S. Hart and Winifred Westover ("Intolerance," 1916) were paired in the Thomas Ince production of "John Petticoats," which premiered in November 1919. Their matrimonial union two years later was the only marriage for each of them. Hart had his hands full in 1921-22, fighting studio bosses for creative control over his productions. They wanted him to adapt to the frivolity they believed postwar audiences wanted. Hart was made of sterner stuff. Westover appeared in one more picture in early 1922 and hung up her acting shoes — until 1930 when, reportedly with her ex-husband's help, she attempted a comeback as the lead character in the depressing melodrama, "Lummox." Far from the starlet image of her youth, she had to pretend to be heavier than she was to play a dowdy family servant. It earned her critical acclaim but failed at the box office. It was her swan song. Meanwhile, she was raising her son in Los Angeles. Bill Jr. graduated from UCLA and worked in Washington, D.C., during World War II as a cryptographer for the Office of Strategic Services, forerunner of the CIA. He returned to UCLA for a master's degree in environmental planning and became a real estate appraiser in Santa Monica. He also taught business, appraisal and finance classes at the UCLA, USC and Santa Monica College. Although estranged from him in life, both Westover and Bill Jr. made their peace with the old movie cowboy as he lay dying at California Lutheran Hospital in Los Angeles and were present at his bedside when he breathed his last on June 23, 1946. 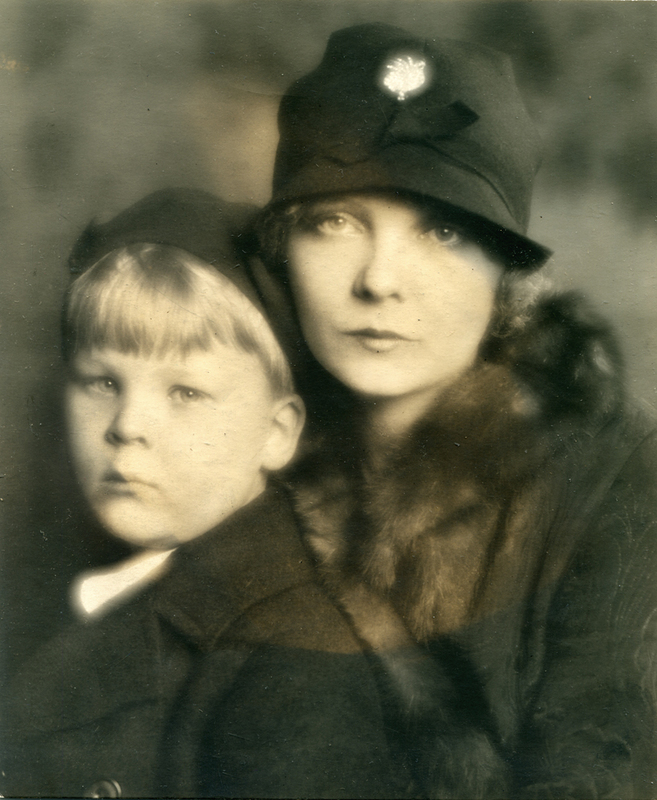 The next year and into the 1950s, mother and son contested Hart's will, wherein he left his Newhall property to the county of Los Angeles and his Hollywood house to the city of Los Angeles (transfered in 1989 to the new city of West Hollywood). The will disavows any claim Westover might assert against the estate, stating she "has been amply provided for under a property settlement agreement made in May of 1922," and it affirmatively makes no provision for Bill Jr., "for the reason that I have amply provided for him during my lifetime." The identity of the estate owner was not disclosed, but it was a Western collector of memorabilia from Hart, Gene Autry, Roy Rogers, Clayton Moore (The Lone Ranger) and others, as well as taxidermy animals, guitars and other "cowboy" items. It's conjecture, but it seems likely the collector purchased the Hart material as an intact grouping following Bill Jr.'s death 14 years earlier. Among the Hart items in the 2018 sale were miscellaneous letters to Westover, a handwritten notebook by Westover, various autographed studio portraits of William S. Hart, an embroidered sash that incorporated photos of Hart, leather-bound travel kits, and a 1946 letter to Hart from his friend Rudy Vallee. 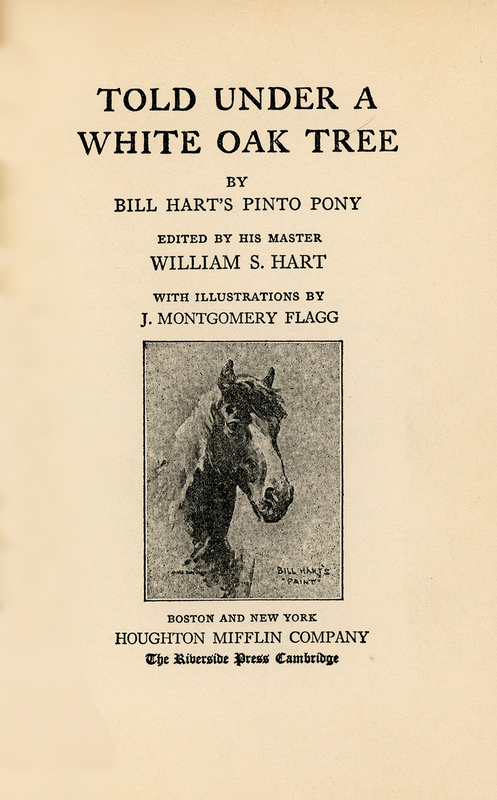 Also: a copy of Hart's 1919 novel, "Pinto Ben" (which is really based on Fritz), inscribed "For Winifred from Bill;" and two copies of the 1994 Lakeside Press edition of Hart's biography that was published in cooperation with the Friends of Hart Park and Museum. The standout of the sale, by many orders of magnitude, was the Flagg painting of Fritz, which Howe consigned to Nate D. Sanders Auctions of Santa Monica. Bidding closed June 28, and the artwork was retrieved and brought back to Newhall June 29. Said Laurene Weste, mayor of Santa Clarita and president of the Friends of Hart Park and Museum: "I think it is a miraculous gift to have a 100-year-old piece of local history by a world-famous artist come back into our community so it can be loved, appreciated and cherished." LW3322: Artwork purchased 2018 by Leon Worden. See file for notes.